Born: 26 March 1909, Pretoria, South Africa . Died: 4 December 1980, Pretoria, South Africa . 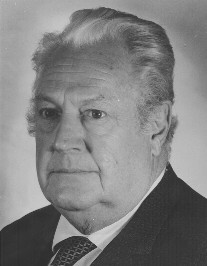 Tom Adelaar qualified as a veterinarian in the Faculty of Veterinary Science, University of Pretoria, at Onderstepoort in 1932. He served as State Veterinarian at Potgietersrus until 1938 and then at Armoedsvlakte until 1942, when he was transferred to the Virology Section of the Veterinary Research Institute at Onderstepoort. In 1947 he succeeded Dr Douw Steyn* as senior lecturer and head of the Toxicology Section. He served in this capacity for 26 years, until his retirement in 1974. He published in a variety of disciplines but is best known for his work on toxic plants in South Africa. Author and Subject Index to the Onderstepoort Journal of Veterinary Science and Animal Industry (1933-1950) and the Onderstepoort Journal of Veterinary Research (1951-1968). Pretoria: Department of Agricultural Technical services, June 1969.